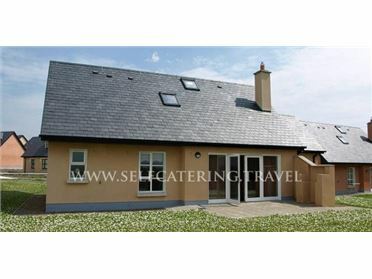 Located in one of the most scenic parts of North Clare with absolute breathtaking views over the Atlantic Ocean, Conemarra Hills, Cliffs of Moher and Burren landscape, the Cottage is a haven for those wishing to escape from the daily stress of life and work. Built on its own private elevated .75 acre site it offers privacy and ample car parking. Just 10 mins away is the village of Doolin which is famous for its live traditional music sessions. Days trips to the Aran Islands, visit Cliffs of Moher, Ailwee Caves, Doolin Cave, horse-riding, golfing, swimming, surfing, pitch & putt, hill climbing, Burren walks over rugged lanscape. Escape to the peace and tranquillity, for the walking/cycling enthusiast enjoying the famous Burren way - your days can be filled with Burren walks enjoying the wild flowers and scenic views, visiting the Burren Perfumery, or relax and read that book you wanted to read for ages or watching your favourite movies..